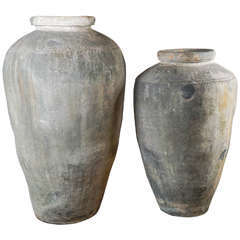 Monumental clay pots from Northern India, can be used as a garden sculptures. 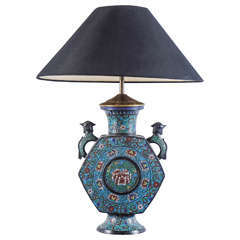 Size: Large: 61 “H X39 “ Diameter Price: $2500 Small: 51”H X32” Diameter Price: $2200. 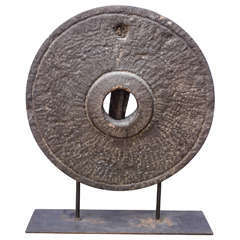 Archaic millstone, used to grind grains into a flour consistency. 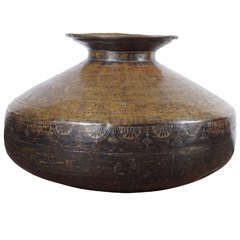 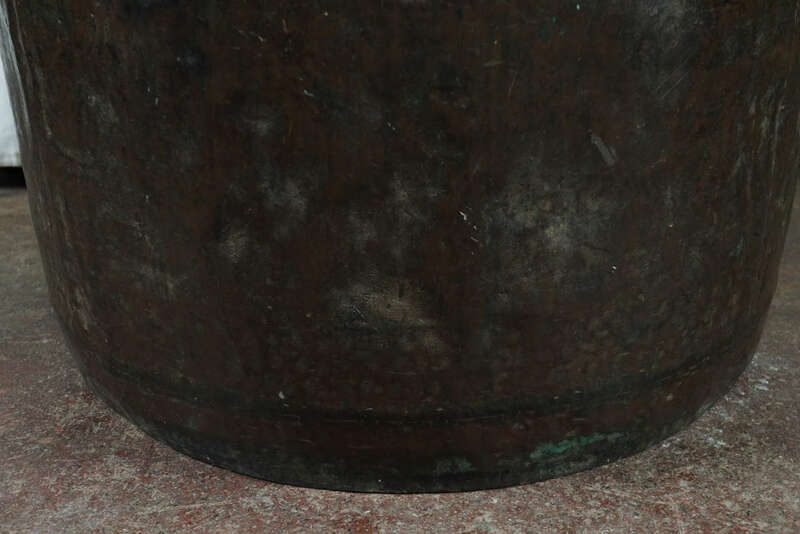 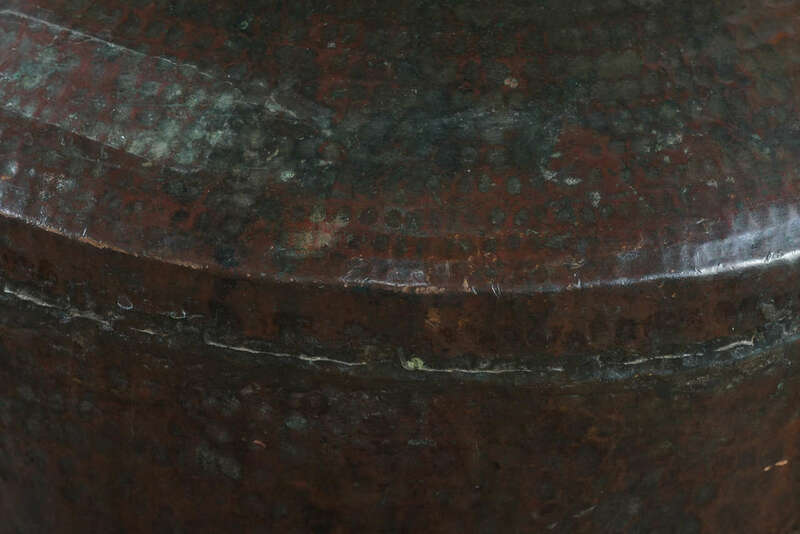 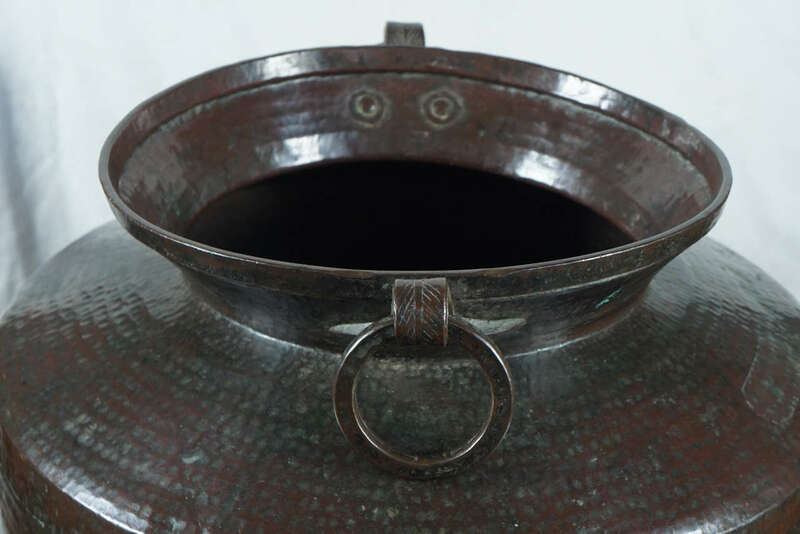 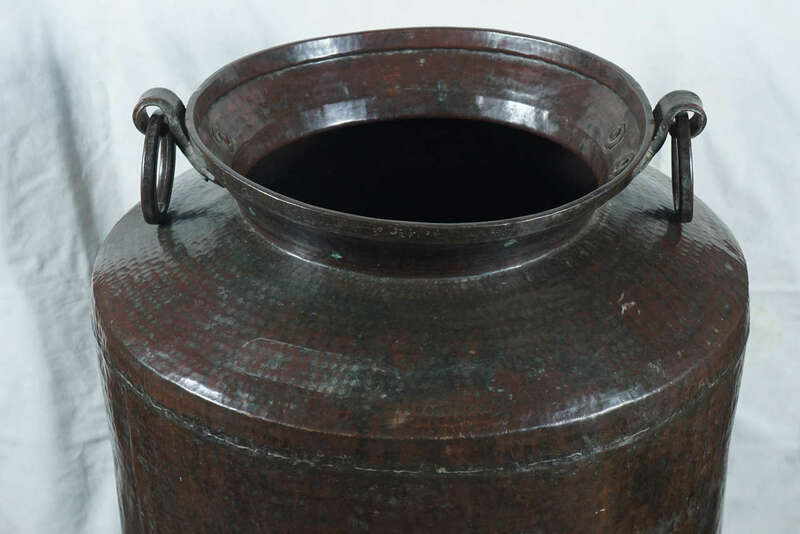 19th century riveted copper vat, with patinated exterior. 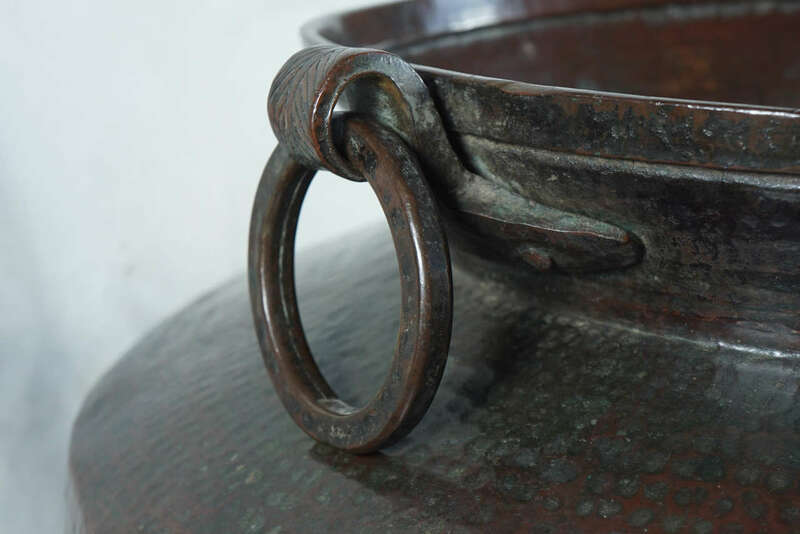 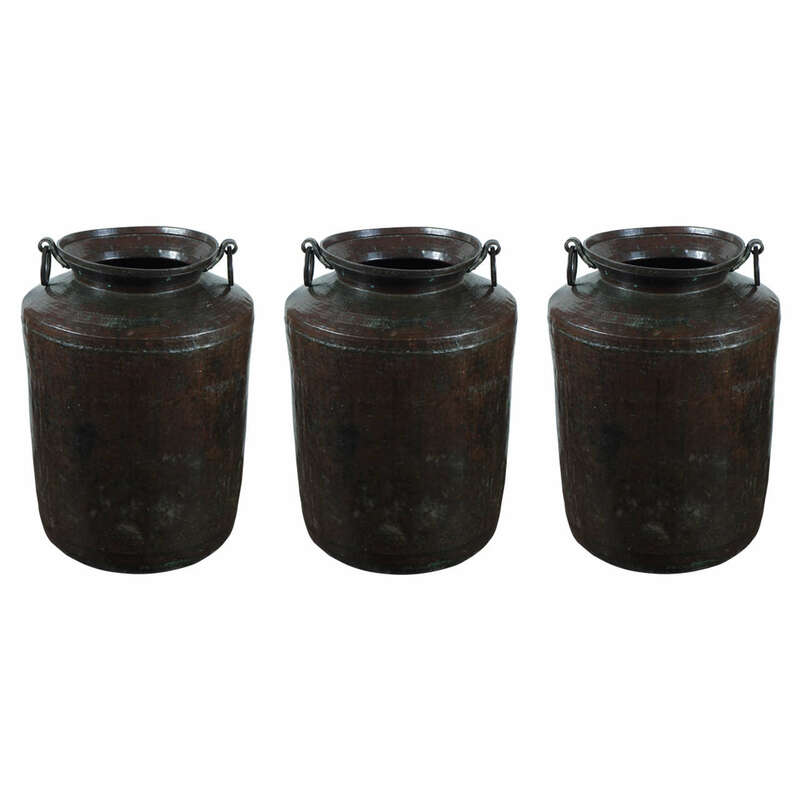 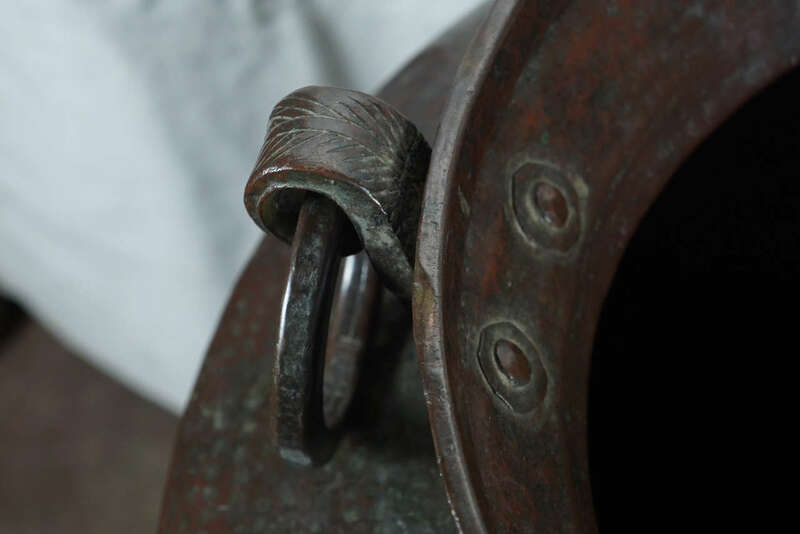 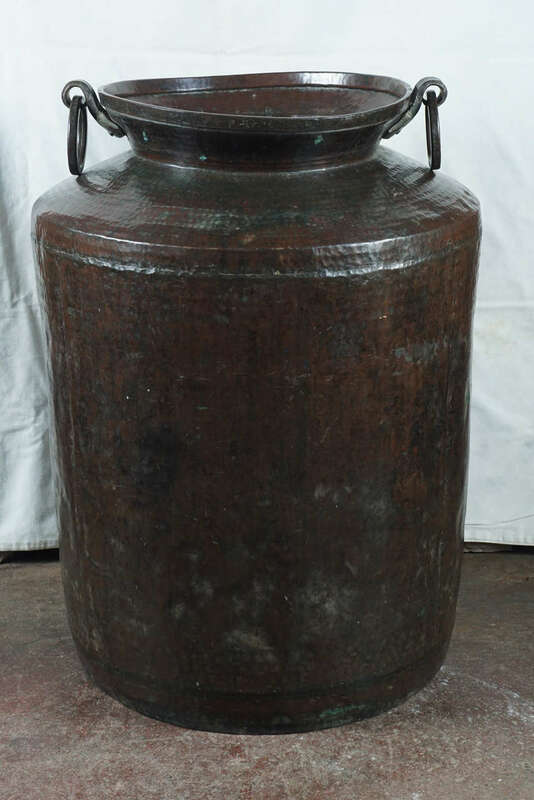 19th century riveted copper vat with patinated exterior.